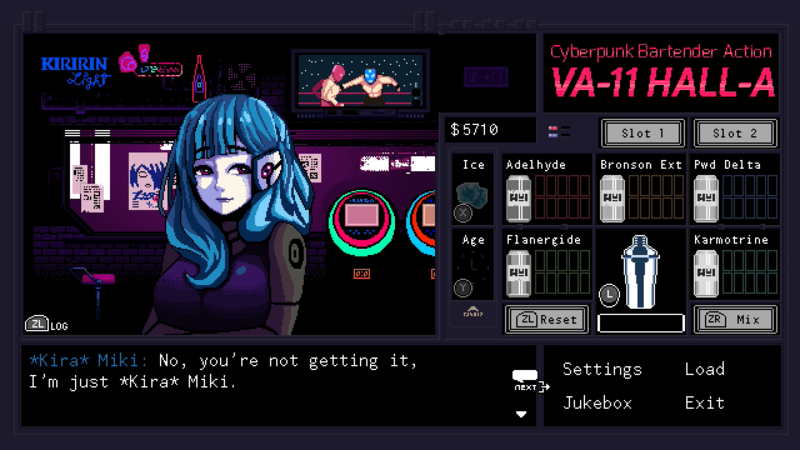 VA-11 HALL-A is coming to Switch and PS4 in May | PowerUp! 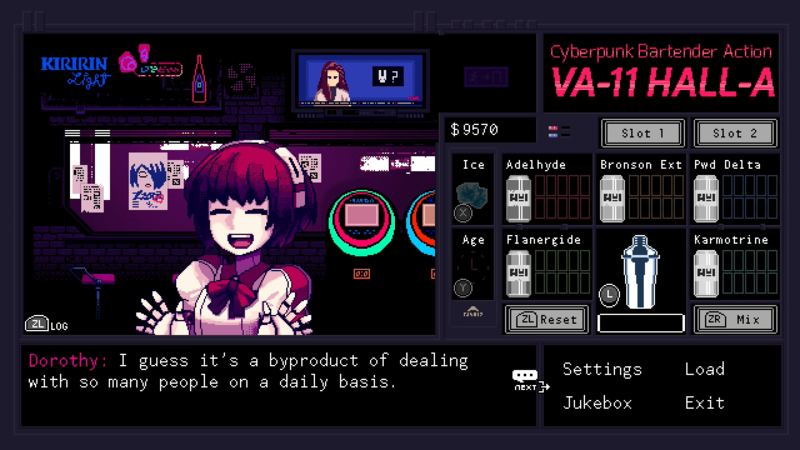 Having successfully served up booze, waifus, tech and post-dystopian fun on PC, VA-11 HALL-A is coming to PS4 and Switch. Launching in May, VA-11 HALL-A will be physically available from Limited Run Games and the Switch will also see the release of a collector’s edition. 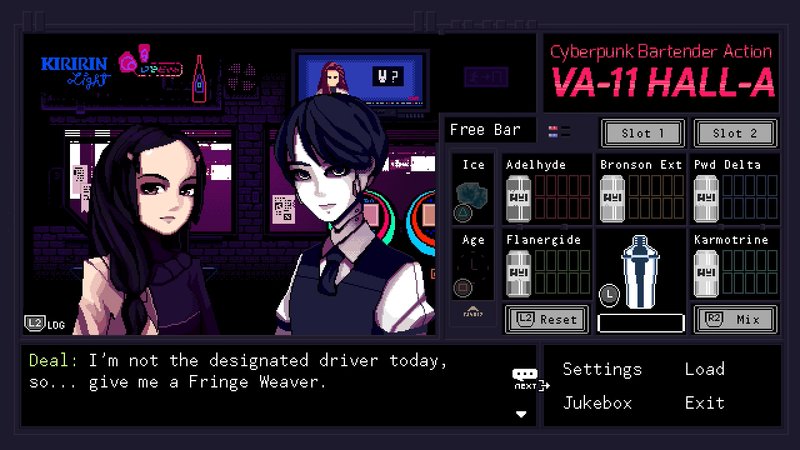 Set in Glitch City, VA-11 HALL-A is “a hole-in-the-wall dive bar providing solace for lonely souls facing the brutality of daily dystopia.” The bartender — Jill — gives an ear to the strangers who come and go, while mixing drinks, chatting with robotic popstars, magazine editors, hackers and more. Through Jill’s eyes and the tongue-loosening cocktails she mixed, players learn the ins and outs of Glitch City. Players will also experience “infectious synthpop” as they listen to a variety of electronic playlists on the bar’s jukebox. 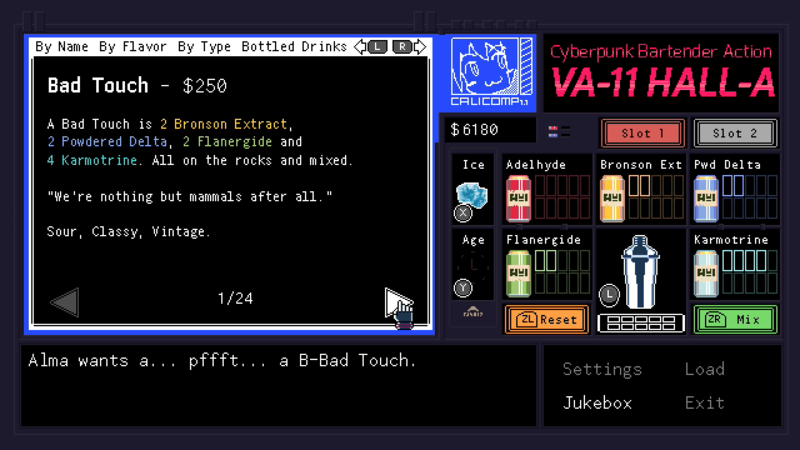 We wanted players to feel a sense of humanity in VA-11 HALL-A. Oftentimes we get so stuck staring at screens that we forget what it means to be human. Jill gets to hear all sorts of stories every night, from crazy to serious, and every single one of them is equally important to each teller. This influences the direction players take with the drinks they serve, making it a story-driven experience that’s personal to the player. 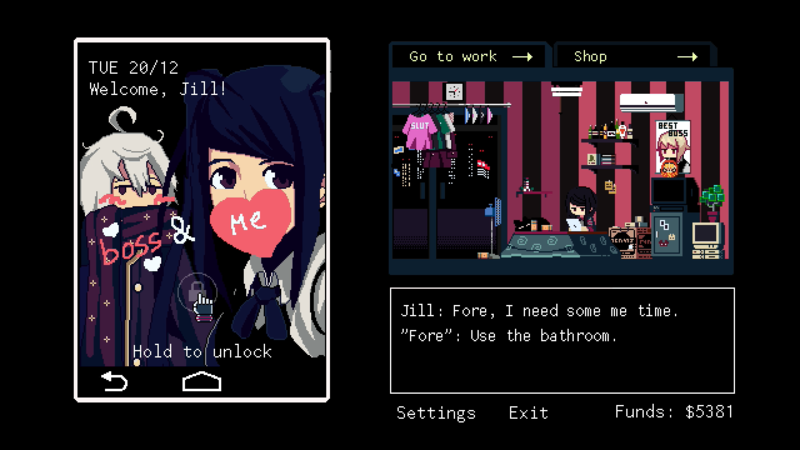 VA-11 HALL-A for PS4 and Switch will be available on May 2 and will cost $14.99 USD. It supports English and Japanese at launch with other localisations set to follow. 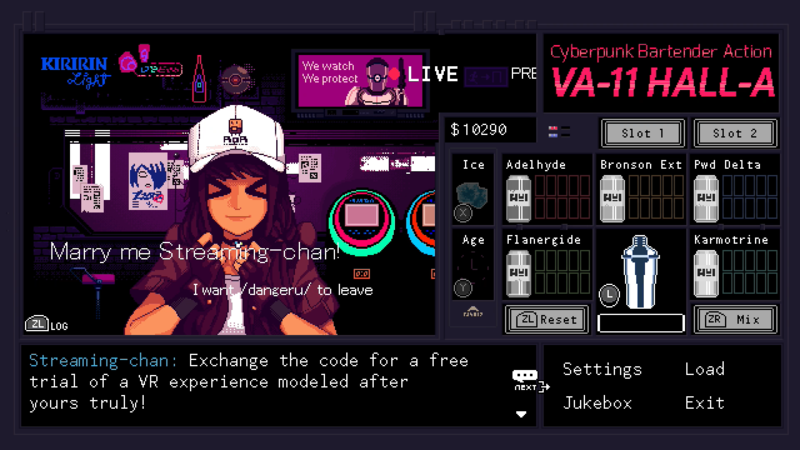 Tags: Sukeban GamesVA-11 HALL-AYsbryd Games.